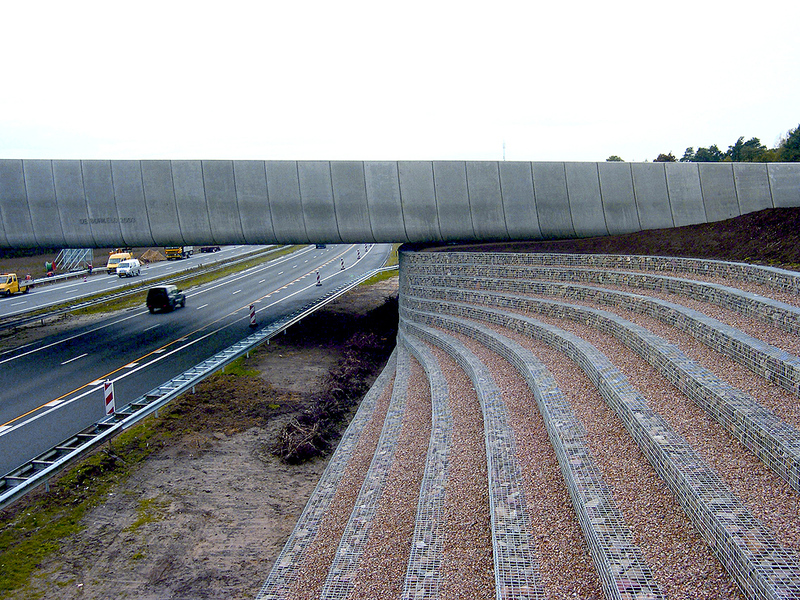 TerraTrel®, with its modular, steel wire facing provides all the design advantages of traditional Reinforced Earth®, at a reduced cost, for both temporary and semi-permanent walls. 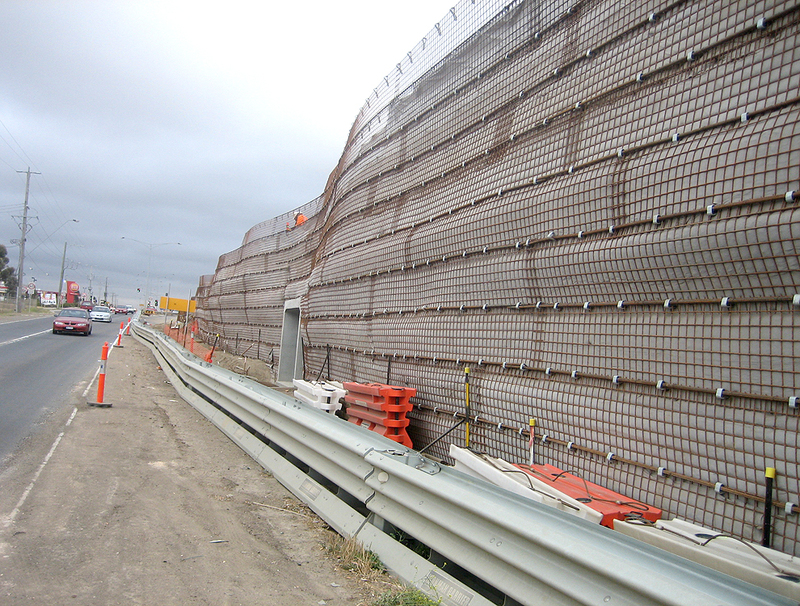 The system is particularly useful for temporary grade separation walls during staged construction where traffic must be maintained then shifted, or as a replacement to sheeting and shoring. It uses lightweight materials that are easily transported and rapidly installed without the use of a crane. 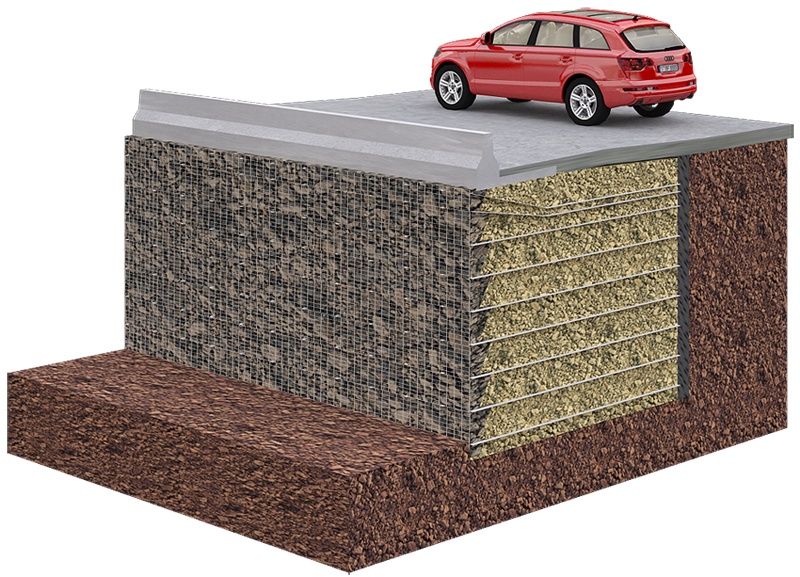 These materials do not sacrifice strength, durability or flexibility to achieve the advantages of Reinforced Earth®. 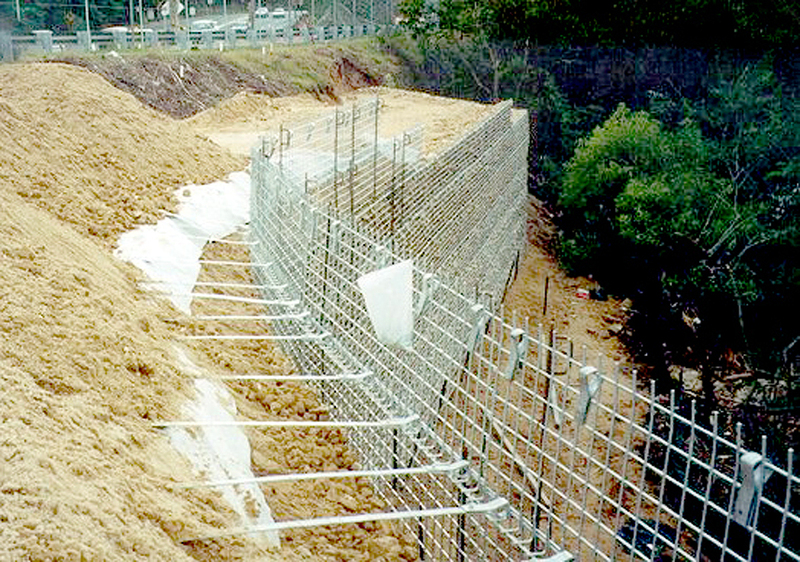 TerraTrel® may be a good solution for semi-permanent walls, when labour and durable gabion stone are readily available at reasonable cost.